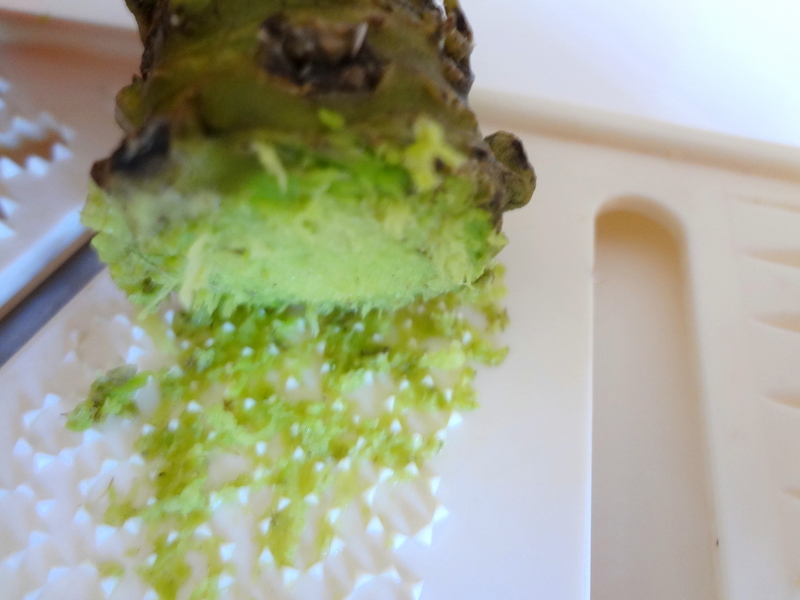 Grating wasabi for a refreshing tofu dish. That’s a combination of two interesting textures. 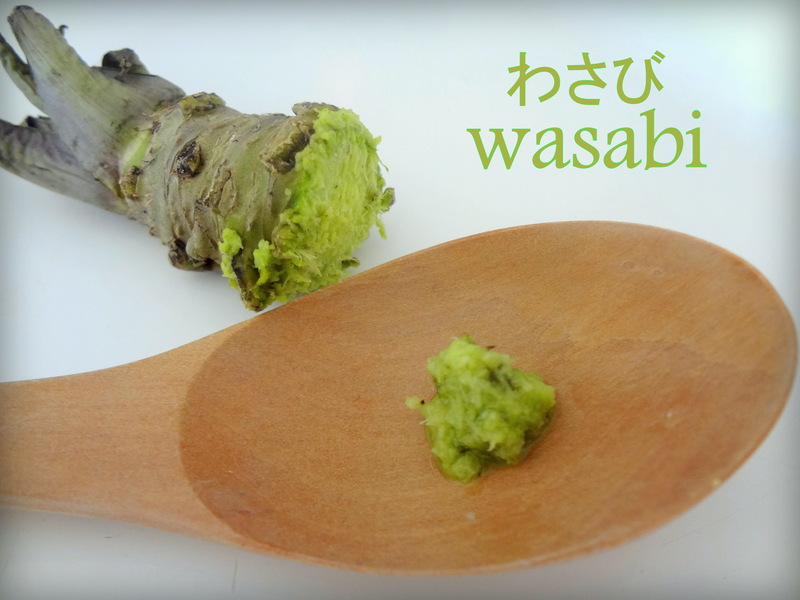 A fresh wasabi root. 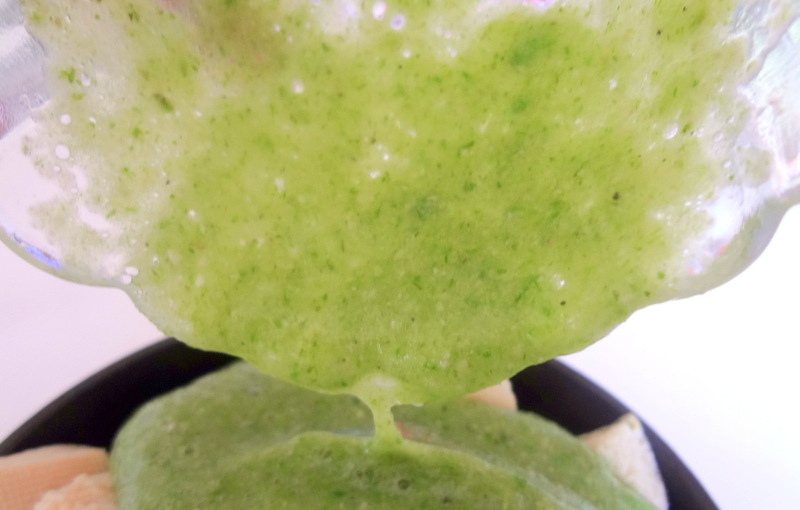 I’ve simple grated it. That’s very different from the product in the tube. More flavored and less strong. 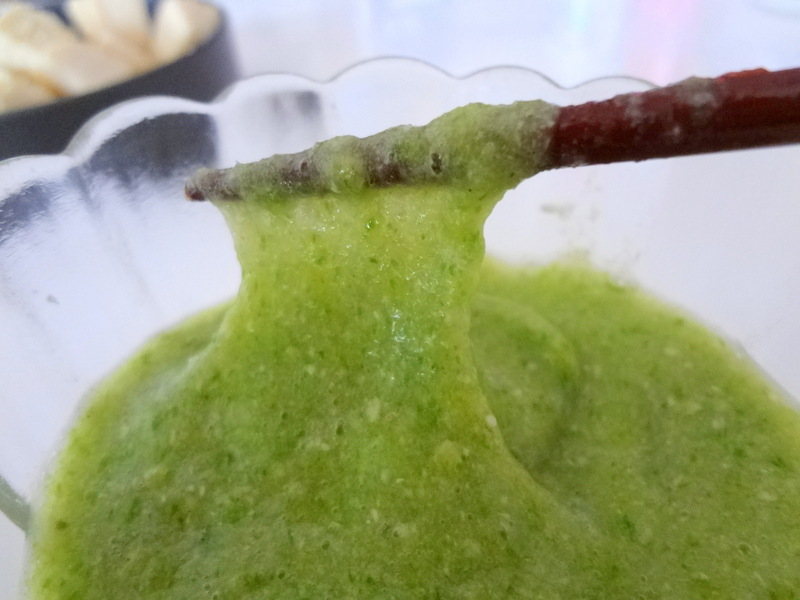 Okra tororo : blanched okra, chilled, pasted in the blender. 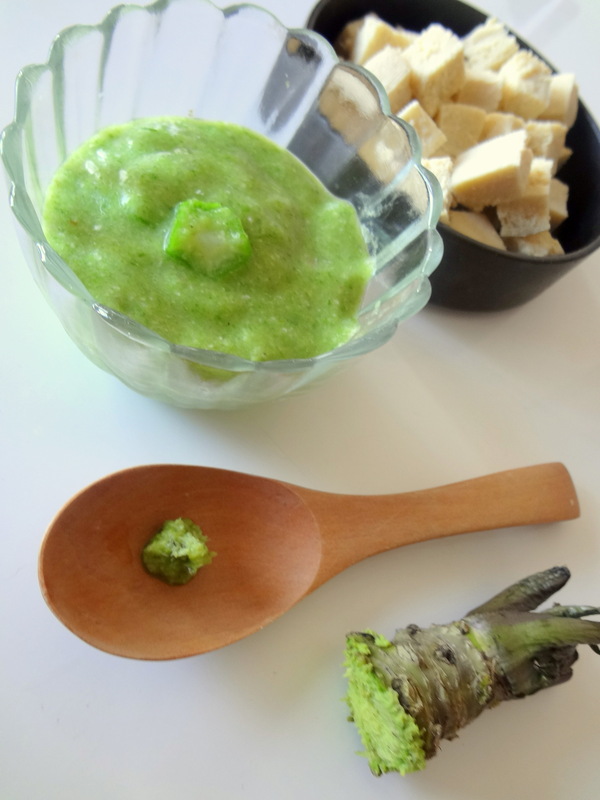 Flavored to taste with grated wasabi and soy sauce. 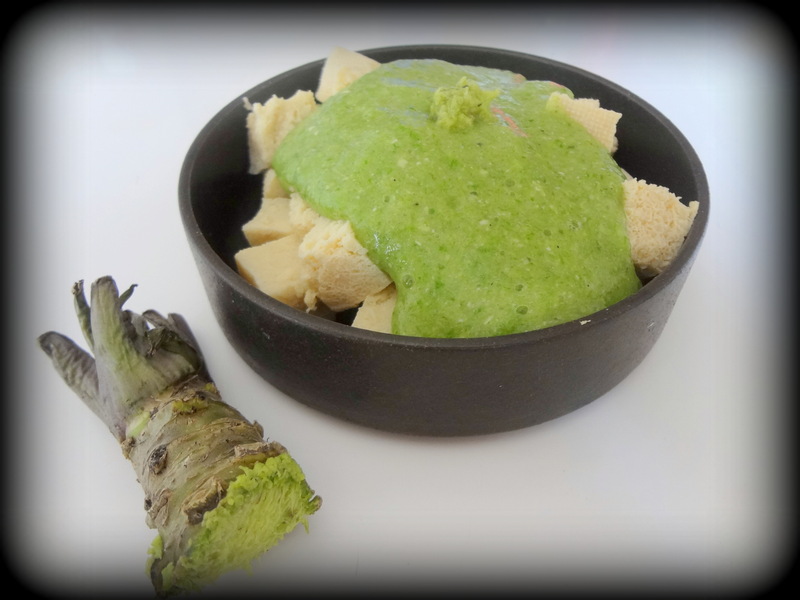 You can, for instance, serve okra tororo with soba. 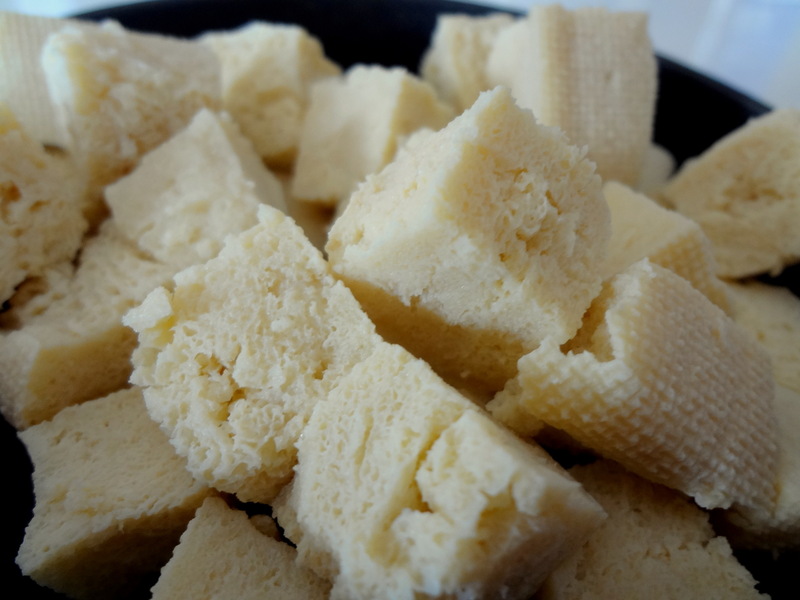 Frozen cotton tofu (momendofu). I froze the whole block in its water. Thawed. Press to push out the water, cut in cubes. As you can see, it has a bread like texture now. 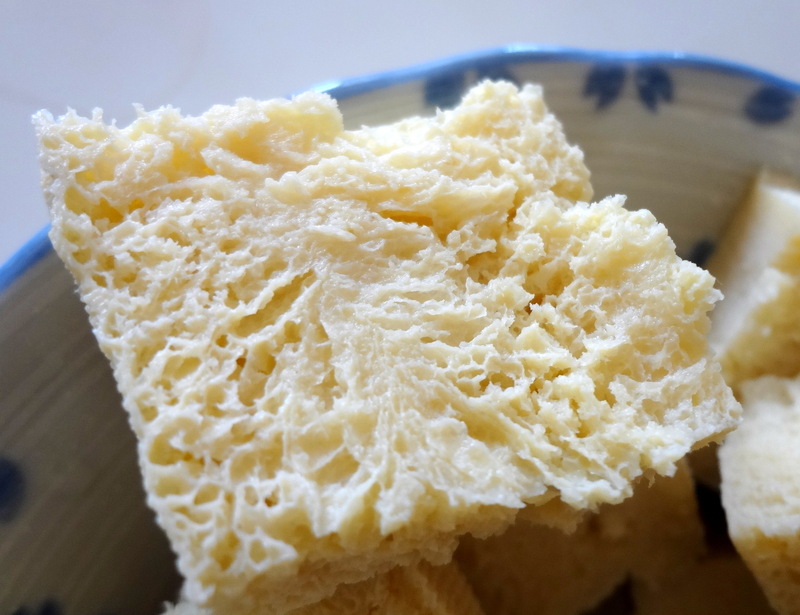 I’ve poured the tororo on the tofu.